Habitat for Humanity Findlay/Hancock County Inc. was initiated by the late Paul Geyer, President of Coldwell Banker/Geyer Associates Realty, through discussions with community leaders about the possibility of creating a Habitat for Humanity affiliate in the Findlay area in 1996. We were incorporated as a private, nonprofit corporation in September 1997 and became an official Habitat for Humanity International, Inc. affiliate on Aug. 1, 1999. 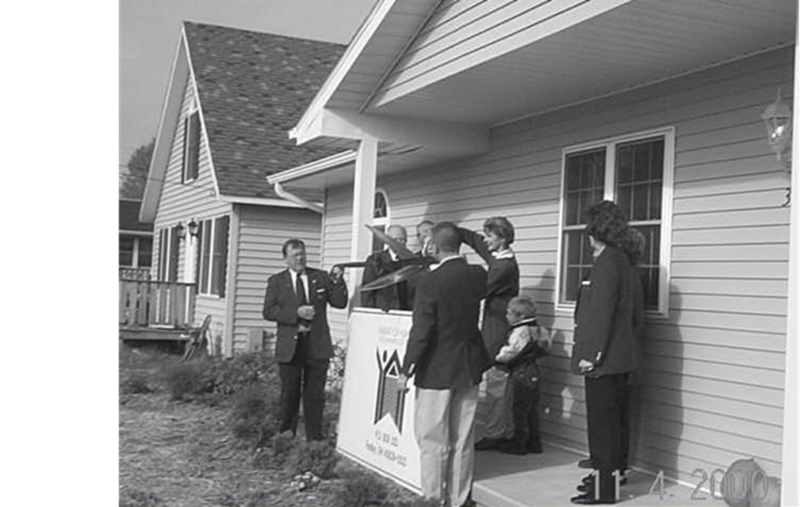 Habitat for Humanity Findlay/Hancock County celebrated its first groundbreaking on May 13, 2000 with its first House Dedication on Nov. 4, 2000. Habitat Findlay/Hancock County is managed by an 20-member Board of Trustees and an executive director. Our office is located in the ReStore, 2042 Tiffin Avenue, Findlay.